Jason Payne resides in Eugene, Oregon where he is a golf instructor at America's largest on-course pro shop. 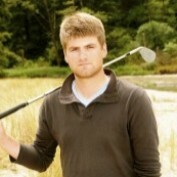 Jason turned his passion of learning about the golf swing into a career of helping others learn about the game of golf. He is certified as a G.S.E.B by The Golfing Machine and is a certified Master Teaching Professional by The Professional Golf Teachers Association. Jason is a proud staff member with Srixon golf.